Happy Thursday to you! It is very HOT here what's it like were you live? 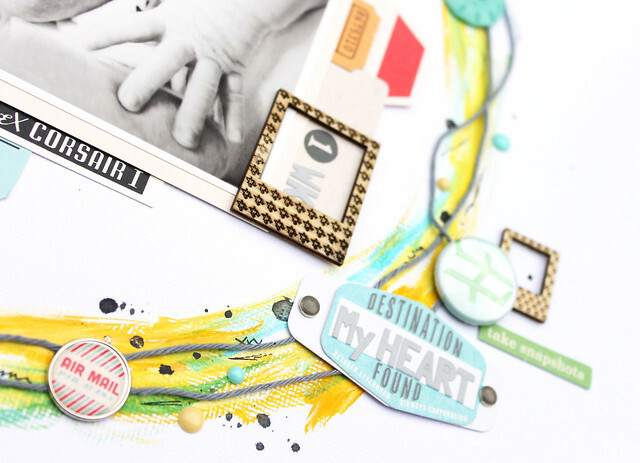 I wanted to share a fun layout I created with the July Kit Add-on and the Embellie Add-on. This layout was so fun to create. I started with painting gesso around the circle and then painted some mist around too. I then took some of the twine in the kit and layered around the circle. Lastly I added some brads, frames, and buttons. Here is my layout using the Kit add-on and the Embellie Kit. I really love those little frames that came in the embellie addon. Here are some close ups. See how I used the brad that said "Destination Found"?! I add "My Heart". And inside this little frame I put and "I" for his name. Thanks so much for stopping! I'm still waiting for the winner to contact me so check below to see if it's you. I looove those tiny frames! The whole layout is just darling sweet and soft with that perfect photo. Thanks for sharing! Awesome circle of color, love!!! 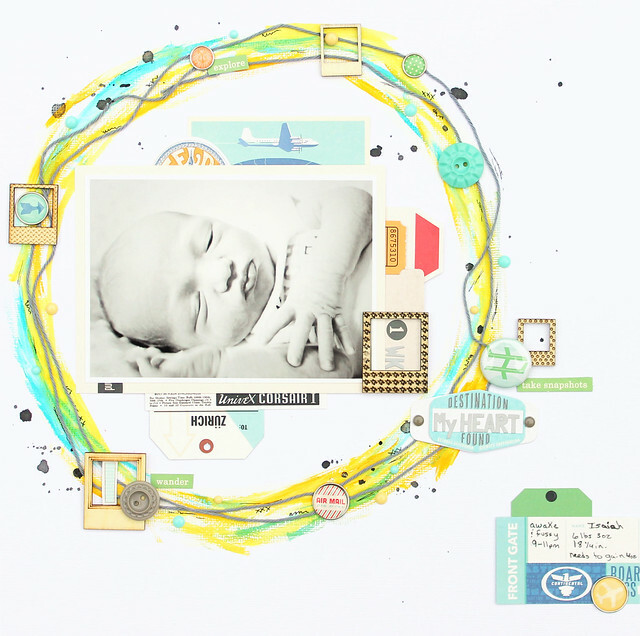 Love the messy circle and how beautiful and airy this looks. Just beautiful and precious!! 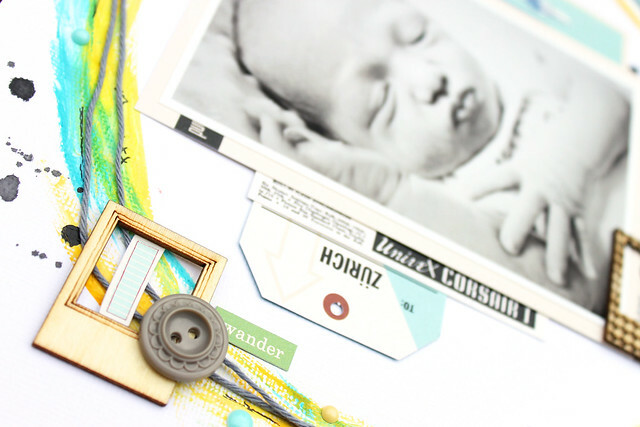 Great idea to use the circular design - the combination of painted mist, brads and adorable veneer frames looks fab. i really love your use of color and gesso--AWESOME!